For a long time, I’ve considered it my mission to recruit job seekers to join LinkedIn, the same way a college recruiter goes after blue chip basketball players. However, after having a discussion a few days ago with someone in one of my workshops, it dawned on me that my style of getting people excited to join LinkedIn might be too strong for some. After the workshop — where I spoke about LinkedIn as if it were the sole solution to finding a job — a woman approached me. She said she just wasn’t ready for LinkedIn. She cited many reasons for this, including not understanding a word I had said (not my fault, she assured me), her anxiety about mastering the mechanics of LinkedIn, and her being more of an oral communicator. It occurred to me that people like her are not yet ready to be on LinkedIn — and they may never be. I am active — to a fault — on LinkedIn, but that doesn’t mean everyone else has to be. What I know now is that LinkedIn isn’t for everyone. If you’re not ready for LinkedIn, getting on it will only frustrate you. End the discussion right here. If simply using the internet makes you worry your identity will be stolen or your financial information will be hacked, there’s no convincing you that you’re safe on LinkedIn. No one is completely safe anywhere, online or in the real world. As long as I’ve been on LinkedIn, I’ve known of only one breach. It was minor; all I had to do was change my password. But if you’re afraid of being on the internet, this is a moot point. Take your socializing to Facebook. LinkedIn is no place for politics, religion, or women clad in bikinis. I’ve seen many such updates that are inappropriate for LinkedIn, and they continue to come. If you feel the need to post stuff like this, open a Facebook or Twitter account instead. It’s not enough to simply copy and paste your resume to your LinkedIn profile. People who are content doing this will only hurt themselves through their failure to brand and their failure to use the right keywords to be found on LinkedIn. 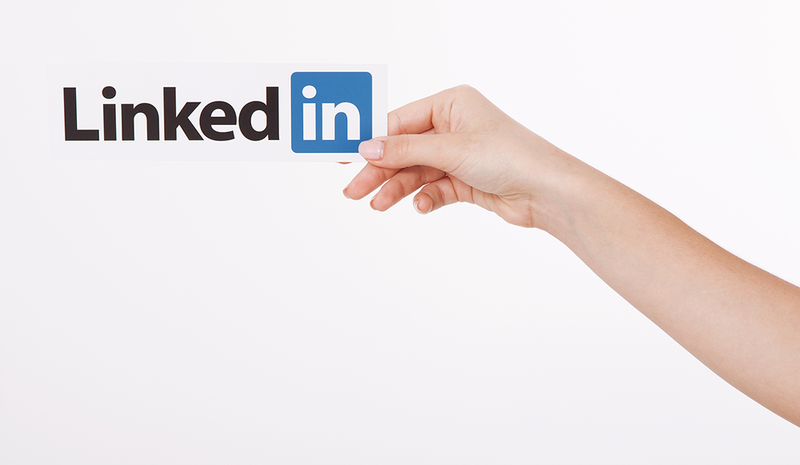 Your LinkedIn profile is a networking document; it should be used proactively. Your resume is a document you send in response to a job ad, making it fundamentally reactive. What works for one doesn’t work for the other. If you’re unwilling to connect with people you don’t know on LinkedIn, you’re basically going to the world’s largest networking event and refusing to speak to a single soul. “Oh, but I connect with the people I know, like my former supervisor,” you say. That’s a pretty limited list of connections. If you don’t embrace meeting and learning about new people on LinkedIn, you are wasting your time. My advice to job seekers on LinkedIn is that they have to dedicate at least four days a week to being active on the site. Spend half an hour on each of those days posting updates, commenting on other people’s updates, and writing blog posts. If you’re not willing to put in the time, your excellent profile and healthy number of connections will all be for naught. I don’t think I am. Too many people open accounts on LinkedIn and then never visit them again — until they’re unemployed. LinkedIn is a networking application. That means you should be using it when you are employed or unemployed. It was developed to help people create partnerships, cultivate soft leads, and reach broader channels. Job seekers who use it only when they need a job are missing the point. Networking is a full-time endeavor. You do it until you retire. LinkedIn goes through constant change, and with each new update to the user interface (UI), it seems more and more people are losing their minds trying to keep up. The thing is, if you just take a little time to play with LinkedIn’s UI, you’ll find it’s not too difficult to understand. You may also want to download the LinkedIn app to your phone, as the UI on the desktop is now almost identical. Using the app may help you get a hang of it faster. You have to embrace change, people. Some people shy away from social media in general because they feel like using it makes them an “exhibitionist.” While I find this silly, I do wonder if publicly sharing my thoughts and feelings makes me a bit of an exhibitionist. Then again, perhaps the word “exhibitionist” is too strong a word. Why do I spend so much time on LinkedIn? Why do I share updates so often? Why do I distribute my and others’ posts? Maybe we should just call it “networking”?